To that end, we have been s-l-o-w-l-y working our way through the award-winning James Madison Critical Thinking Course this semester. 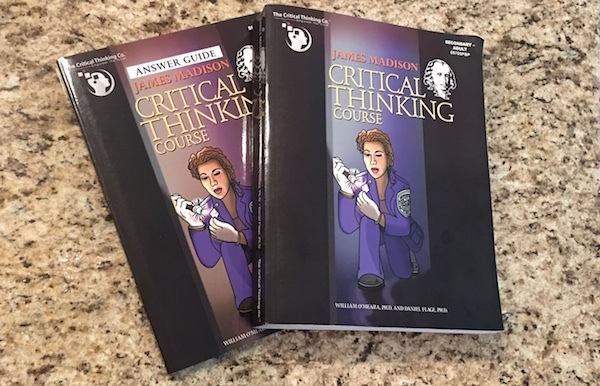 This course has the same great quality we’ve come to expect from books published by the Critical Thinking Press, but it’s scope is more ambitious than many of their other titles we’ve used in the past. A couple of the later chapters cover material I didn’t see until college when I took a course on formal proofs for my math degree. 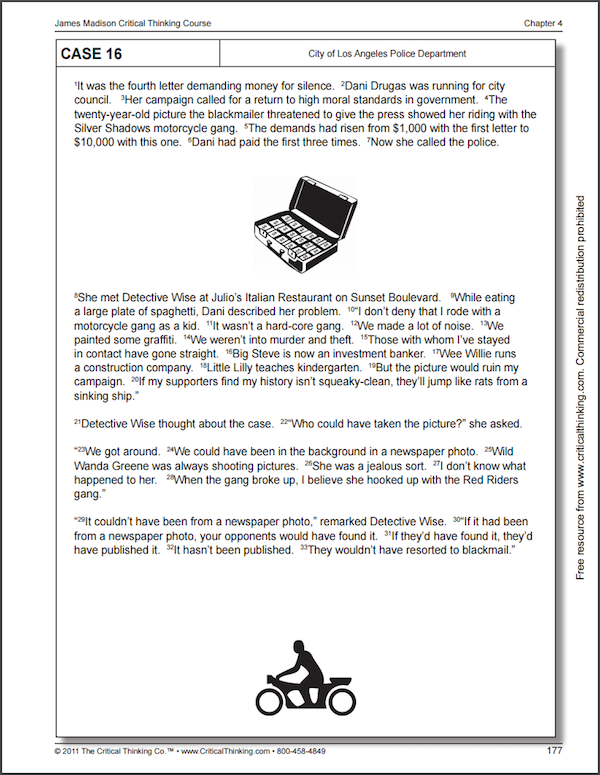 All the material is taught using mini-mysteries and a fictional detective from the Los Angeles Police Department. 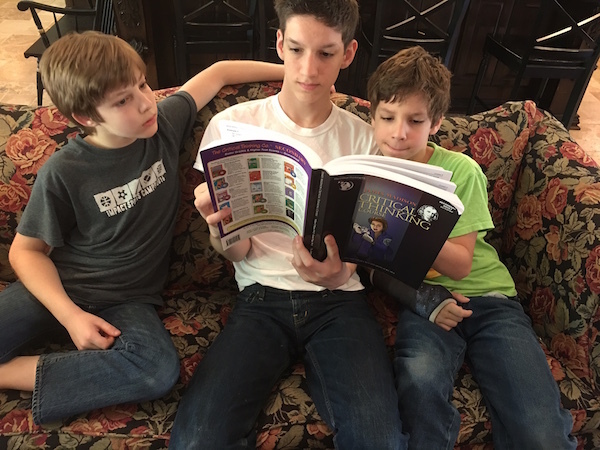 The stories are fun and interesting and help keep students engaged. 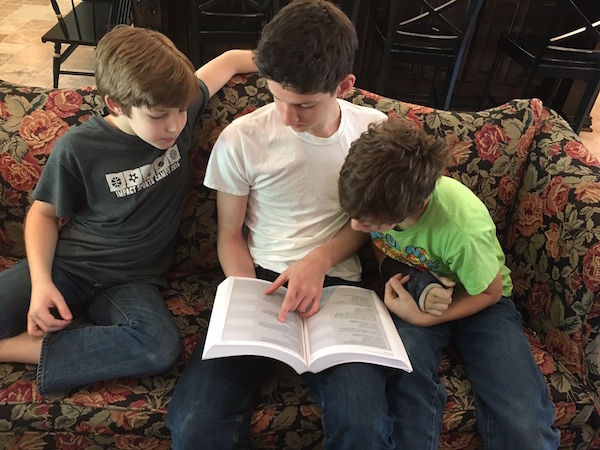 The book’s pages are perforated for easy removal, and the publishers grants permission to make copies for your own family’s use. We do most of the lessons orally so we can discuss the concepts as we go, but their are several exercises that make use of diagrams and are better done with pen and paper, so the ability to make copies comes in especially handy with those. 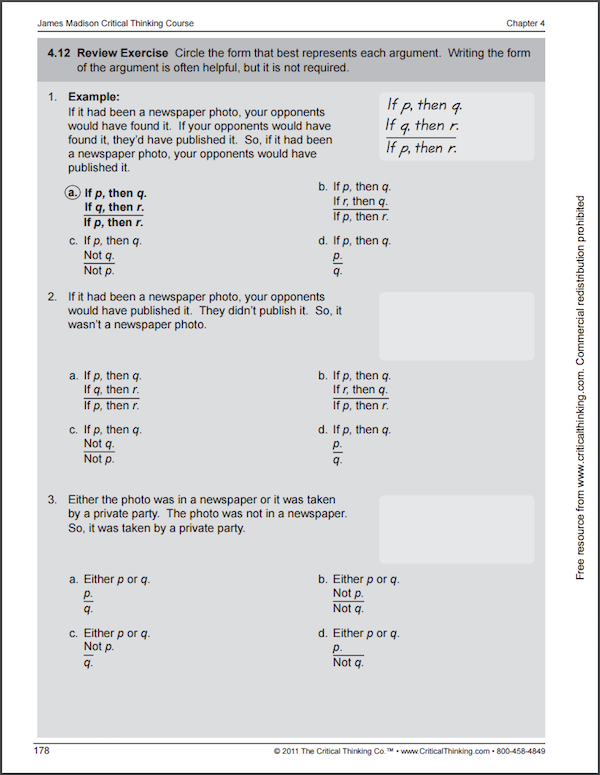 Whether you read through the book together or hand it off to your older student to work through on his own, you’ll also want the answer key (sold separately), which includes solutions to both the exercises and the quizzes. In other words, for best results, you should not just “study for the exam,” but should faithfully apply the concepts taught in this course for the rest of your life.